Bering Sea Gold is an American 60 minute reality adventure television series, which kicked off on January 27, 2012, on Discovery Channel and is broadcast every Friday at 22:00. The show is currently in its 10th season. Discovery Channel is yet to announce the renewal of Bering Sea Gold for Season 11 as well as its cancelation. Sign up to track down the show's status and its release date. In the frontier town of Nome, Alaska, there's a gold rush on. But you've never seen gold mining like this before -- here, the precious metal isn't found in the ground. It's sitting in the most unlikely of places: the bottom of the frigid, unpredictable Bering Sea. 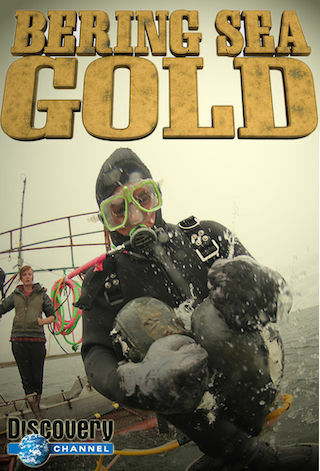 And there are a handful of people willing to risk it all to bring it to the surface in Bering Sea Gold.